l guarantee to take your storage clutter and make it organised, sorted and easy to use. 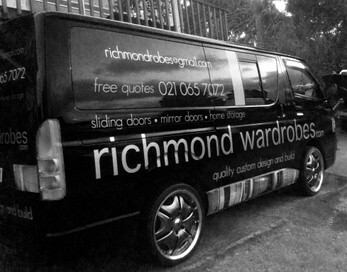 Custom made wardrobes and wardrobe renovation­s, I can pullout your existing and replace with a completely new wardrobe. please call as the range is constantly increasing. Very happy with our wardrobe. Quick, efficient and friendly service. Highly recommend Thanks very much. John: Thanks Sue, our pleasure. Absolutely fantastic in terms of professionalism and time management. Quality of work is top notch. Would definitely be in touch later for a few more upgrades to our wardrobes in other bedrooms. Cant recommend you enough. Thanks so much John , you did an amazing job. I will definitely recommend you. Exceptional service and great quality. John arrived when he said he was going to for both quoting and installing, quote provided very promptly, wardrobes were made almost immediately and installed in an hour. They look great and work well. Can't ask for more really, I'm a very happy customer. Thanks John very happy with our new wardrobes. Excellent product!! Had three wardrobes done in just under a week from initial quote to finish. Very pleased with the speed and professional execution not to mention the great price would highly recommend. Very happy with my new wardrobe, we highly recommend them. We had our wardrobe made and installed within a week. It was about $1000 cheaper than what we had been quoted from other wardrobe companies. And we have full floor to ceiling mirrors , it looks really good! I have asked John to make 3 wardrobes for me.he turned up make 1 and ask for payment and i did it. and then he started to find excuse by not turning up. I have called him several times in a 3 weeks period.each time he said he was sick even though i can hear he was using screwdriver on the back of the phone. Eventually, i have asked this guy do you still want to do this job or not? he replied with your attitudes is bad and he will not do my job anymore. bad experience, not recommended at all!!!!! John: Hi Chris, I installed a wardrobe for you for which you paid me for, no problem so far, then I caught this bug which laid me out for several weeks. No excuse but was quite sick. good luck with the wardrobes. Thank you John for a fantastic wardrobe and terrific service! Highly recommend John to all. Thoroughly reliable and great to deal with. Much thanks. We are very happy with the wardrobe John. You made it so easy for us. Many thanks. John installed four wardrobes and two cupboards. Would recommend to anyone. Good quality. John was great. he worked alongside me so taht I could have the minimum inconvenience. He implemented one bedroom in a short time so that i could surprise my son who was on holiday. Total wardrobes installed 3. Thanks John for the awesome work.